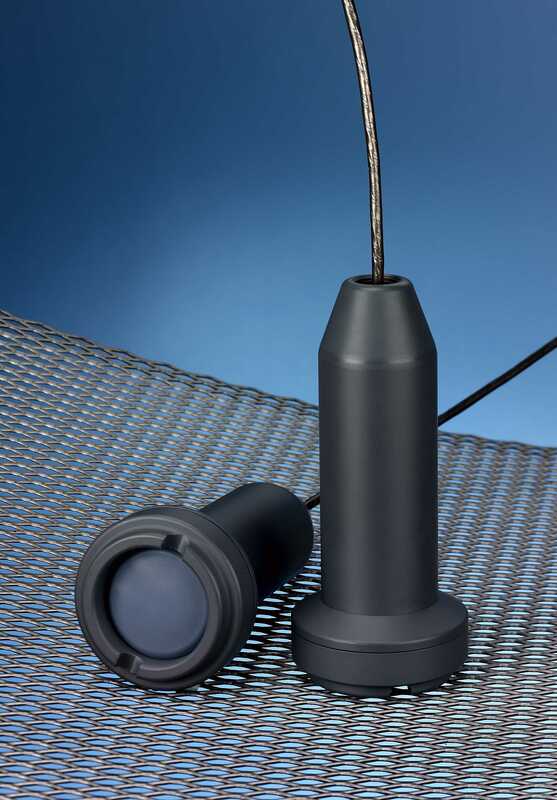 Contegra offers both plastic bodied and metallic bodied submersible transducers. The plastic bodied transducers include the SLX 130, SLX 160 and SLX 220a/b. The small-bodied metallic transducers include the SLX 305 (316 SS) and SLX 330 (316 SS). Contegra designed the SLX 130, SLX 160 and SLX 220a/b Submersible Transducers to stand up in difficult environments. Their PVC and ABS bodies are resilient in many aggressive chemical environments. The SLX 130 and SLX 220a/b have a large (2.5" diameter) Teflon-faced, unobstructed diaphragm which eliminates the possibility of a sludge-plugged nose cone and minimizes the formation of an encrusted end cap. The SLX 160 has a durable ceramic diaphragm. Their PVC/ABS (i.e. plastic) housings provide an additional level of electrical isolation in installations that experience "ground bounce" (i.e. an elevated ground potential due to nearby lightning events). The SLX 220a includes the SLX 130-E and the T425 voltage-to-current converter. The SLX 220b includes the SLX 130-E and the T423 voltage-to-current converter. Contegra's SLX 300 Series Submersible Level Transducers are designed for measurement of groundwater, well water, canals, rivers and other liquids based upon the hydrostatic pressure of the liquid above the submerged sensor’s diaphragm. The transducer is a two-wire, loop-powered device that provides a 4-20 mADC output signal directly proportional to the sensed level over the calibrated range of the sensing element. The transducers' diaphragm is protected by a plastic guard.